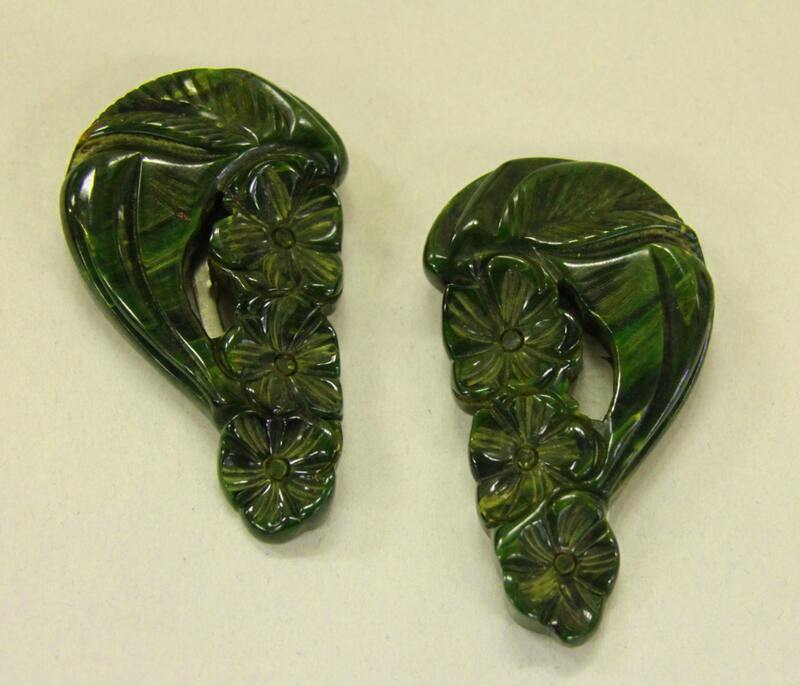 Incredible Huge green carved Bakelite dress clips measure a whopping 2 3/8 inches in length. They are just wonderful miniature pieces of art. 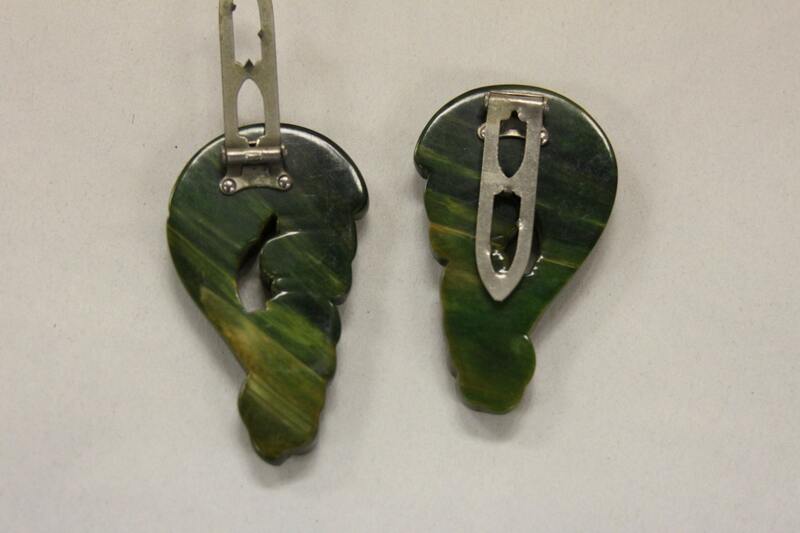 They are perfect companion for your carved Bakelite bracelets. 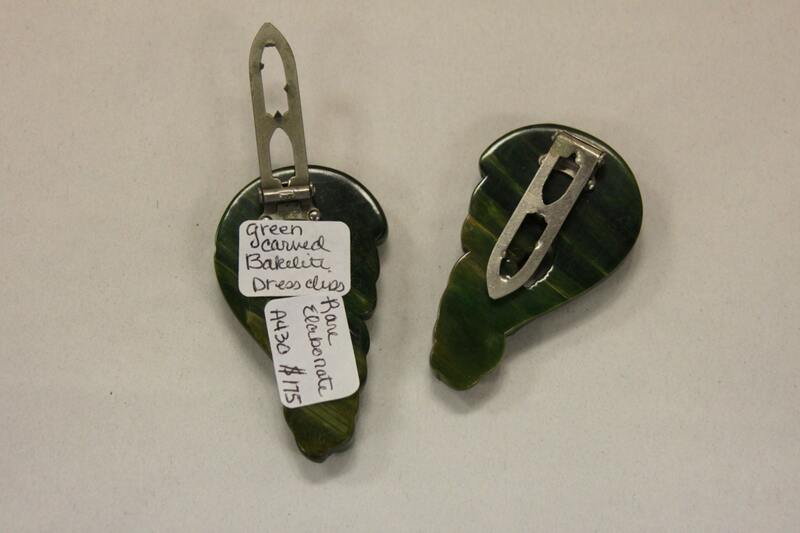 Dress Clip sets are becoming more difficult to find. These are just the most beautiful color of swirled green.